The ultimate gift for Game of Thrones fans! 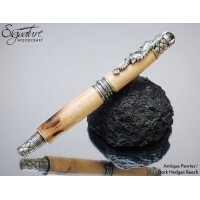 This unique wooden pen has been created from the famous Dark Hedges beech wood. 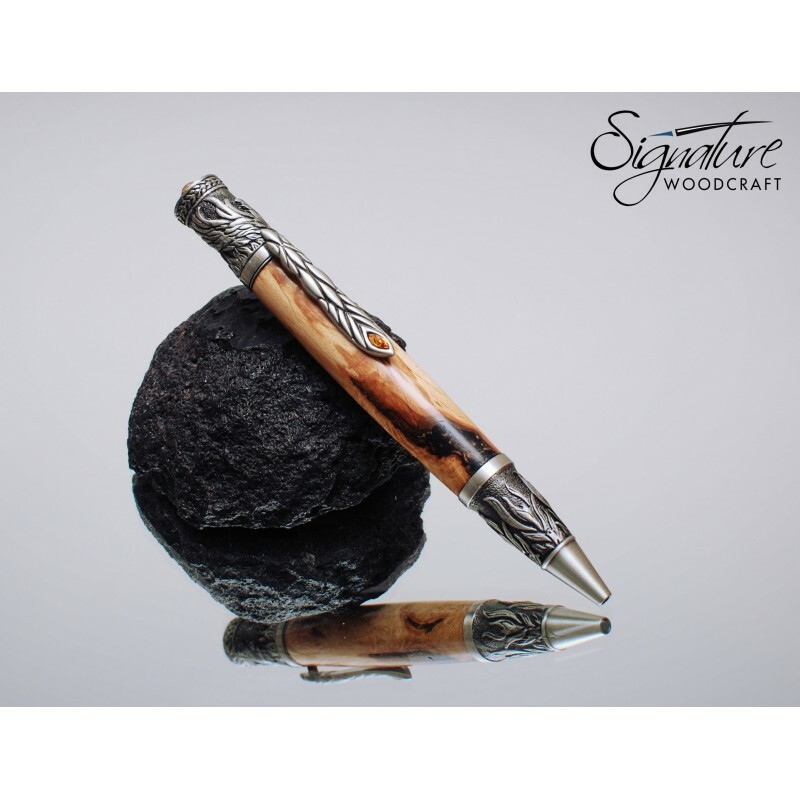 The pen has been handmade in our workshop in Northern Ireland, only a few miles away from the source. 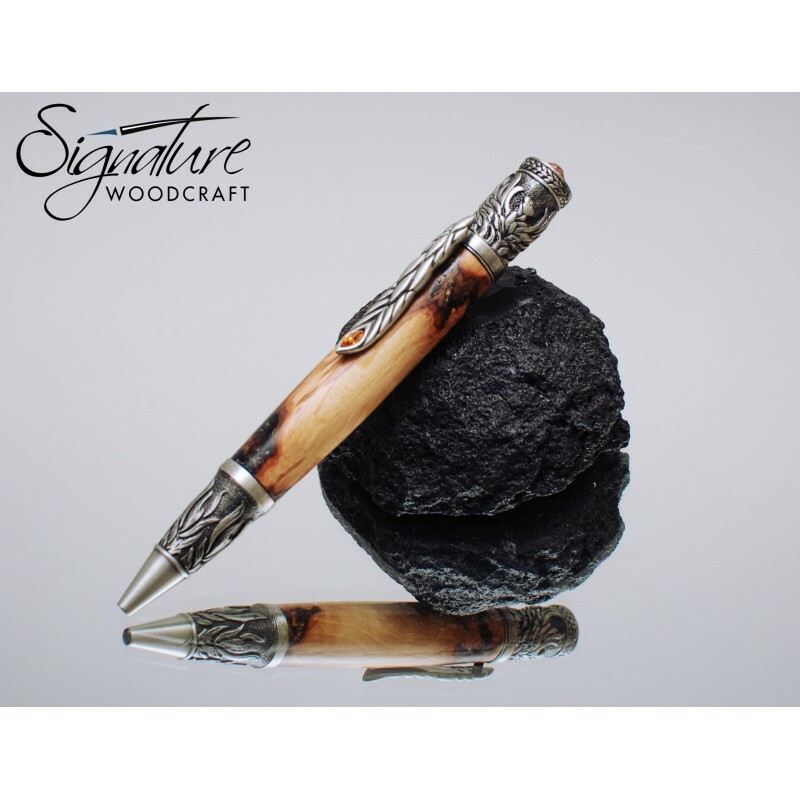 Our highly detailed ballpoint pen features a Phoenix theme. The tip features bursting flames design, with a rising Phenol at the finial. The tail is rendered as the clip design. 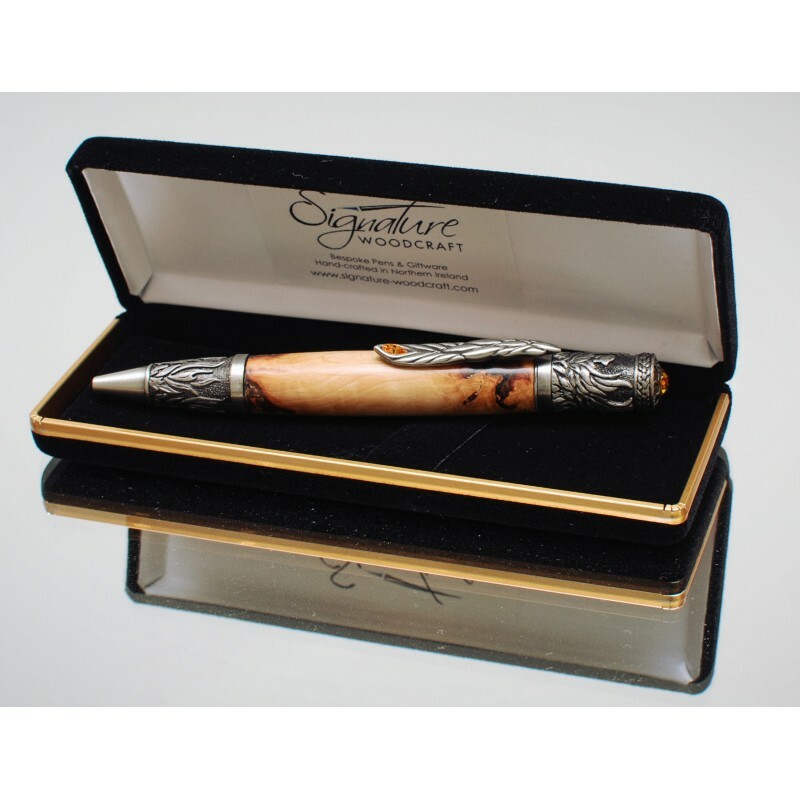 Amber crystals fitted on the cap and the clip further add to the majesty of this pen. The pen comes complete with a black velvet presentation box so is ready to give as a gift. This pen will make a perfect gift for any lover of the Game of Thrones.